It’s often said that the HIV/AIDS epidemic has a woman’s face. 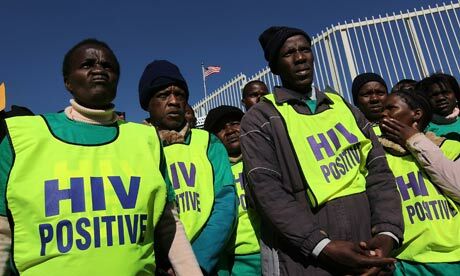 The proportion of women infected with HIV has been on the rise for a decade; in sub-Saharan Africa, women constitute 60 percent of people living with disease. While preventative drugs exist, they have often proven ineffective, especially in light of financial and cultural barriers in developing nations. “After 10 years of work, we have created an intravaginal ring that can prevent against multiple HIV exposures over an extended period of time, with consistent prevention levels throughout the menstrual cycle,” said Kiser, an expert in intravaginal drug delivery who joined Northwestern from the University of Utah, where the research was conducted. Kiser is a new faculty member in Northwestern’s McCormick School of Engineering’s Department of Biomedical Engineering and visiting associate professor of obstetrics and gynecology in the Feinberg School of Medicine. The research was published September 16 in the Proceedings of the National Academy of Sciences (PNAS). The new ring is easily inserted and stays in place for 30 days. And because it is delivered at the site of transmission, the ring - known as a TDF-IVR (tenofovir disoproxil fumarate intravaginal ring) - utilizes a smaller dose than pills. The device contains powdered tenofovir, an anti-retroviral drug that is taken orally by 3.5 million HIV-infected people worldwide, but that has not previously been studied topically. But the ring’s strength stems from its unique polymer construction: its elastomer swells in the presence of fluid, delivering up to 1,000 times more of the drug than current intravaginal ring technology, such as NuvaRing, which are made of silicon and have release rates that decline over time. The upcoming clinical trial, to be conducted in November at Albert Einstein College of Medicine in New York, will evaluate the ring in 60 women over 14 days. The trial will assess the ring’s safety and measure how much of the drug is released and the properties of the ring after use. Other drugs could potentially be integrated into the ring, such as contraceptives or antiviral drugs to prevent other sexually transmitted infections - a feature that could increase user rates, Kiser said. “The flexibility to engineer this system to deliver multiple drugs and change release rates is extraordinary and could have a significant impact on women’s health,” he said.